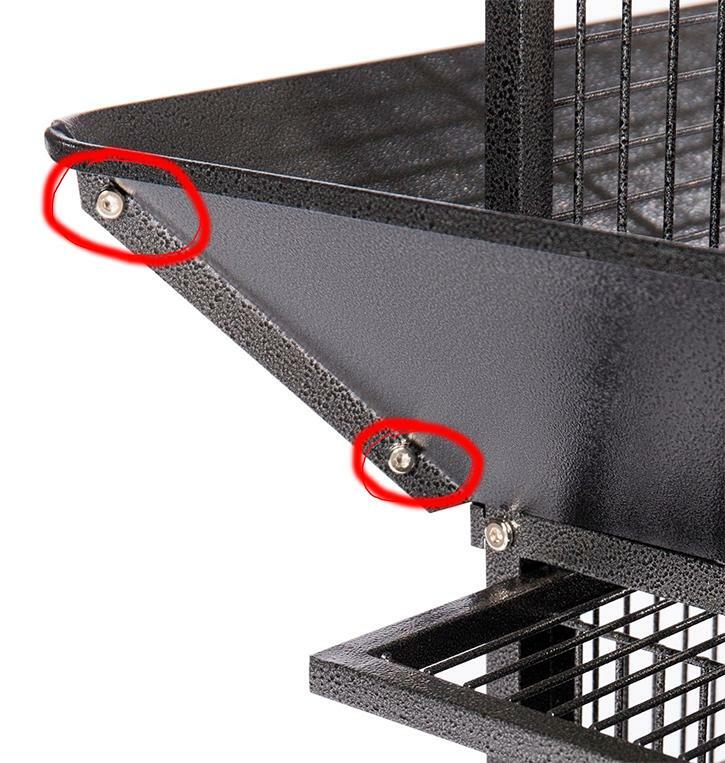 I'm trying to look for some Allen screws for a friend to help him out, but am unable to figure out the correct size of the screws and nuts he lost (see image, marked in red).. I'm not really familiar with the sizing of it, but do know that the hole has a size of 6mm and the Allen wrench diameter is 4mm. Any help is really appreciated! These are English, Imperial, or more technically ANSI (A for American) fasteners. They are not metric. The holes that are slightly large of 6mm are actually for 1/4" bolts. As they say, the bolts are 1-1/4" long. Typically this will be 1/4-20 unless there is an extraordinary need for strength. 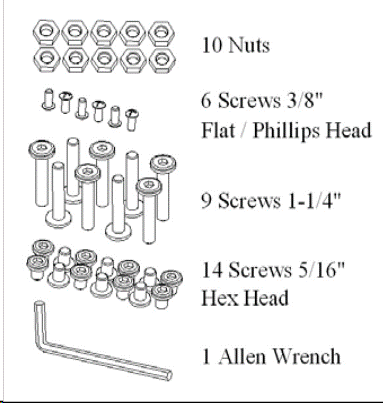 Since they are bolt-nut pairs, you may be able to substitute 6mm, but the 1-1/4" length will still be essential. " means inch, by the way. For the 5/16 and 3/8, that figure is the length. Most likely that is a #10 or possibly #12 screw. The smaller screws are most likely #6 or #8. If you see threads precut in the holes, they are machine screws and the matchup is critical, you cannot substitute metric fasteners. Keep in mind machine screws come in different thread pitch: coarse (NC) and fine (NF). These two are standards, and everyone follows them, unlike metric lol! If you do not see threads precut in the holes, then get a micrometer and measure the precise diameter of the receptive (rearmost) hole. Then ask US companies what sheet metal screw is best for that. The first number in a metric bolt specification refers to the bolt's nominal outer diameter. For example, a bolt specified as "M6-1.0 x 30" fits a 6.0-mm diameter hole. Not the answer you're looking for? Browse other questions tagged screws bolts or ask your own question.